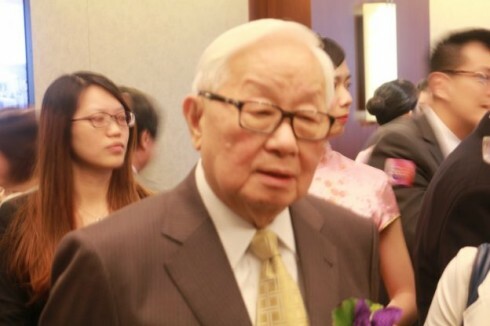 TSMC expects its revenue to grow 5-10% percent this year, ahead of the global semiconductor industry’s projected growth of 4 percent, company chairman Morris Chang said. The increasing use of ICs in smartphones and virtual reality devices will drive this growth, he explained. In the first half of 2017, TSMC expects a seasonal slowdown to affect its revenue. “Growth drivers are always customer demand. We do have more concentrated customers today than we did several years ago. So, those particular customers’ fluctuation affects our quarterly fluctuations to a great degree,” Chang said at an investors’ conference in Taipei. In the quarter ended March 2017, TSMC’s revenue is forecast to fall between 8.86 and 10 percent to between NT$236 billion and NT$239 billion (US$7.4 billion and US$7.5 billion), compared with last quarter’s NT$262.23 billion, TSMC said. Gross margin should reach 51.5 and 53.5 percent this quarter, compared with 52.3 percent in the quarter ended December 2016. The company reported a net income of NT100.2 billion, or earnings per share of NT$3.86, for the fourth quarter of 2016. On an annual basis, in 2016 TSMC’s net income rose 9.03 percent to a record NT$334.25 billion, while revenue climbed 12 percent to an all-time high of NT$947.94 billion. TSMC attributed the growth to its leadership in advanced technologies, notably 16-nanometer and 20-nanometer process technology. TSMC has a 65 to 70 percent share of the global 16-nanometer chip market. To ensure its vanguard position in the future, TSMC intends to allocate about US$10 billion for capital expenditure this year, some of which will be used for the development of 7-nanometer and 10-nanometer technologies. Chang said TSMC would not rule out building in a plant in the U.S., given President-elect Donald Trump’s preference for U.S.-made products.